Shopping for Anything: Great Work of art!! Hello again dear friends!! i'm still in vegas!! enjoying my stay here!! how about you?? 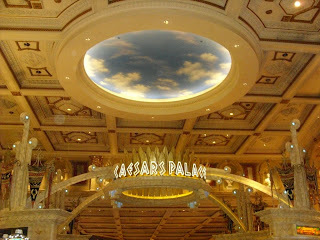 I took this photo inside Caesars Palace hotel and casino...see that very nice ceiling?? this is the entrance to their casino!! i simply love it...hope to be back their next week to take more pix!! wish everyone a stress-free wednesday!! thanks for all your visits here..really appreciate it!! I will reciprocate once my vacation is over...still so busy with my escapades! !